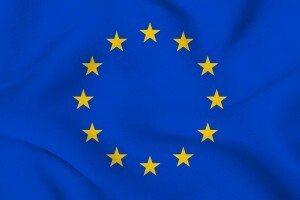 The Department of Health has today announced that it is seeking views on the transposition of the revised European Tobacco Products Directive (2014/40/EU). The announcement can be found here, and the consultation document can be downloaded in PDF form here. Rather disappointingly, the consultation documents do not contain any proposed text of the regulation, and the time frame for submissions to the consultation is merely a month. The consultation questions are rather vague, and from initial reading, it does not seem to take into account how some of the more egregious details in the directive will impact the smaller businesses in this sector. The Irish Vape Vendors Association welcomes the fact that the Dept of Health has finally begun the consultation process on the transposition of the EU Tobacco Products Directive. However, we are highly disappointed with the lack of detail in the consultation document. The directive itself was written without proper consultation with stakeholders, and it would seem that the Irish government intends to repeat that scenario with this announcement today. The consultation period is extremely short, and there has been no actual proposed text of the regulation published. As one example, on the matter of proportional fees for the burdensome notification process; the details of what may or may not be sensible and proportionate won’t matter if the cost of generating the data for notification is prohibitive. The questions asked in the consultation questionnaire do not seem to take into account the fact that this directive will have a negative impact on consumer choice and the small independent companies in the e-cigarette industry. We will be seeking further clarification from the department as a matter of urgency. ”These products, which the experts are tell us carry only a tiny fraction of risk compared to smoking, must be regulated proportionally to tobacco cigarettes”, said IVVA administrator Gillian Golden.